On March 28th, I posted a story titled, Gangsters In Paradise Part I, where I alleged that the city's Operating Budget had been "cooked" to allocate $232,000 to fund the annual Martin Luther King Candle Light Vigil, which had previously only received $50,000 from the city. On April 9th, the city's Budget Director, Christopher Rose wrote to me, acknowledging that the information that I had relied on was incorrect because of an error that he had made in allowing "several extra pages from the proposed budget," to continue to be included in the final budget book. He also denied "cooking" any books and asked that I publish his letter. It is sometimes hard to admit when one has made a mistake. Not in this case. There is a mistake in the FY 2018-19 Adopted Operating Budget book as printed. We mistakenly printed extra pages from the proposed budget. Rest assured that the budgeted numbers in the City’s system of record are correct, but there were pages with incorrect information included in the published book. No one reading the book online would have any way of knowing that these were incorrect. You and every other reader should be able to trust that everything in the book is correct. Pages 350 through 355 in the FY 2018-19 Adopted Operating Budget were mistakenly included. This report is titled the “All Funds ‐ Transfers‐OUT Schedule.” The proper version of this report is printed in the FY 2018-19 Adopted Operating Budget on pages 76 through 81. One can tell that the pages from 350 to 355 are incorrect because they still contain the words “FY 2018-19 Proposed Budget” at the top of each page; whereas, the pages from 76 through 81 only contain “FY 2018-19 Adopted Budget” at the top. Between the time of proposal in July and the time of Adoption in the fall, we decided to move the “All Funds ‐ Transfers‐OUT Schedule” from a location toward the back of the budget book to nearer the front. It seemed a better location. We neglected to remove the pages in the back when we did this. I did not catch the mistake before we printed the book. This is my mistake and I take full responsibility for it. The books were not “cooked” regarding the Dr. Martin Luther King, Jr. Candlelight Vigil (nor any other item contained in the budget). When the budget was proposed in July, $142,000 was proposed for the Vigil (shown on page 349 of the FY 2018-19 Proposed Operating Budget book). This number was amended on the floor at the second Budget Hearing on September 27, 2018. The City Commission added $90,000 to the Vigil, among several other amendments. This is noted in the memorandum from me to the City’s Chief Financial Officer, Sandra Bridgeman, on October 5, 2018 (shown on page 511 of the FY 2018-19 Adopted Operating Budget). So, the original $142,000 plus the amended $90,000 totals the final amount of $232,000 as shown on page 77 of the FY 2018-19 Adopted Operating Budget book. Again, the mistake of printing old pages would have caused anyone confusion. I admit and take responsibility for this mistake. The books were not and have never been “cooked” on my watch. 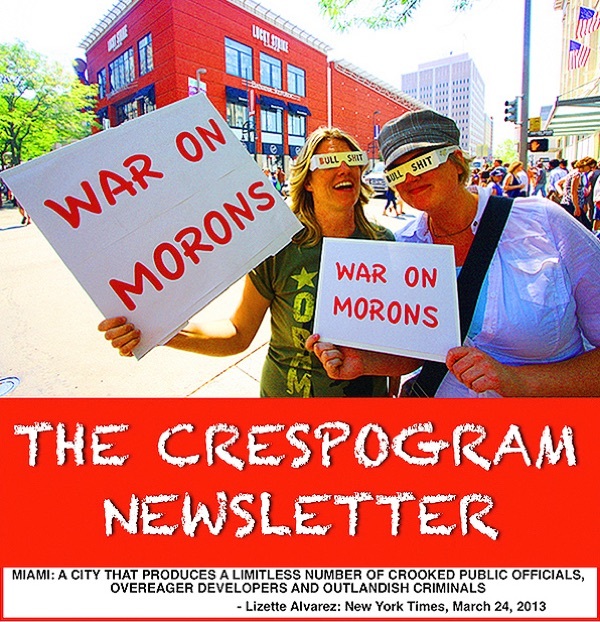 Would you be kind enough to print this in the Crespogram Newsletter? It would be best if your readers had the chance to understand my mistake. Thank you in advance. Because I've been focused on the ULTRA issue, it took me several days to find my copy of the Proposed 2018-19 Budget Book, and upon review, Rose's claims are correct. The proposed budget did include $142,000, which upon further review raises some additional questions about how this amount made its way into the budget, and also about how another $90,000 came to be proposed by Commissioner Hardemon. First, the process that led from the original proposal of $50,000 to $142,000. I tend to accept the numbers in these documents to be accurate, but because I was so focused on verifying everything, I added up the above amounts and discovered that they did not come out to the $717,000 listed as the total. The actual total of these various allocations was $667,000, which while a separate issue, now raises a question about basic math, and whether on top of everything else I'm going to start having to double check all the financial calculations prepared by the city. When I did look at the page that Rose said I should look at, it not only included the first $90,000 bump for the Candle Light Vigil that Rose had claimed I would find, but also $25,000 bumps for the Three King's Parade, Pit Bull's New Year's Eve Celebration and the Martin Luther King Parade. By the time the budget was finally approved on September 27th, not only had the $142,000 increased to $232,000 as a result of a motion to amend made by Hardemon during the meeting, but he also asked for and got $10,000 for a 4th of July party at Hadley Park. Not to be left behind, Carollo matched him by asking for another $100,000 for a Little Havana Celebration, and Russell jumped on the gravy train to get $30,000 for a Veteran's Day parade, $25,000 for 4th of July at City Hall, and $15,000 for a Blacktop Basketball Tournament. To appreciate the degree of kleptocracy going on, the money for parades, celebrations, basketball tournaments and candle light vigils went from $575,000 in the 2017-18 Budget, to $987,000 in the 2018-19 Budget: an increase of $412,000 in one year. So much for claims about having to watch every dollars and demanding fiscal prudence from the administration that these morons, and especially Carollo claim is their first and primary responsibility to the citizens of Miami. I understand that folks like Rose are employees, and have little real power to stop the plunder that keeps occurring by these kleptomaniacs, but that's not true of the City Manager, who is supposed to be the guy in charge, and from this example, it's evident that the taxpayers of Miami are not being well served by him or anyone else when it comes to the plundering of taxpayer dollars for parades and parties that the politicians then use to promote themselves. And it's not just this administration, because this started with Tomas Regalado, and it's also not just a few thousand dollars here and there that we're talking about. It's almost impossible to say, as some no doubt will, that it's the public's responsibility to keep informed, because while I agree that it is, there are limits to what regular folks can do, or are willing and capable of wading through the hundreds of pages of budget documents looking for acorns. You've got to be a glutton for punishment to try and wade through all the fancy graphs and bureaucratic gobby-gook that accompanies these hundreds of pages of numbers, and I would venture to say if I hadn't been looking for specific information, the odds are that I would have never stumbled on any of this information, not only because the information was contained in two (2) separate budget books - the proposed, and the approved budgets - but they were tucked away in the middle on pages 349, and 352. In fact, other than the portions of the specific pages from the budgets that I posted above, no where else in either of the budget documents, or in the Change Memo's produced by the City Manager, or in any other document that I've been able to find was there any mention of anything having to do with any of these items, or allocations of money. This is where I fault the City Manager who allegedly has the ultimate responsibility to be looking out for the taxpayers. 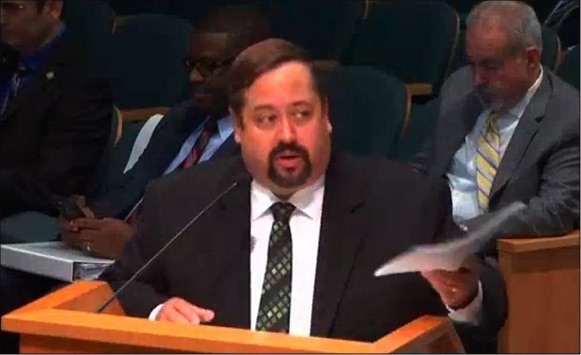 Everyone now pretty much understands that in varying degrees the 5 members of the Miami City Commission are just outright crooks who should be required to put on ski masks and shout out, "This is a stick up!" at the beginning of every City Commission meeting, because there isn't a meeting that goes by without some effort to plunder either the city's money, the city's land, or the pockets of the taxpayers by these gangsters. After reviewing the additional documents I have to concede that I was wrong in claiming that the books were "cooked," because what happened was actually worse than an act of "cooking" the books. When anyone says the books have been "cooked," there is an implication that what happened was done surriptiously, so as to avoid being found out by someone(s) with the courage and authority to stop the "cooking" from happening.